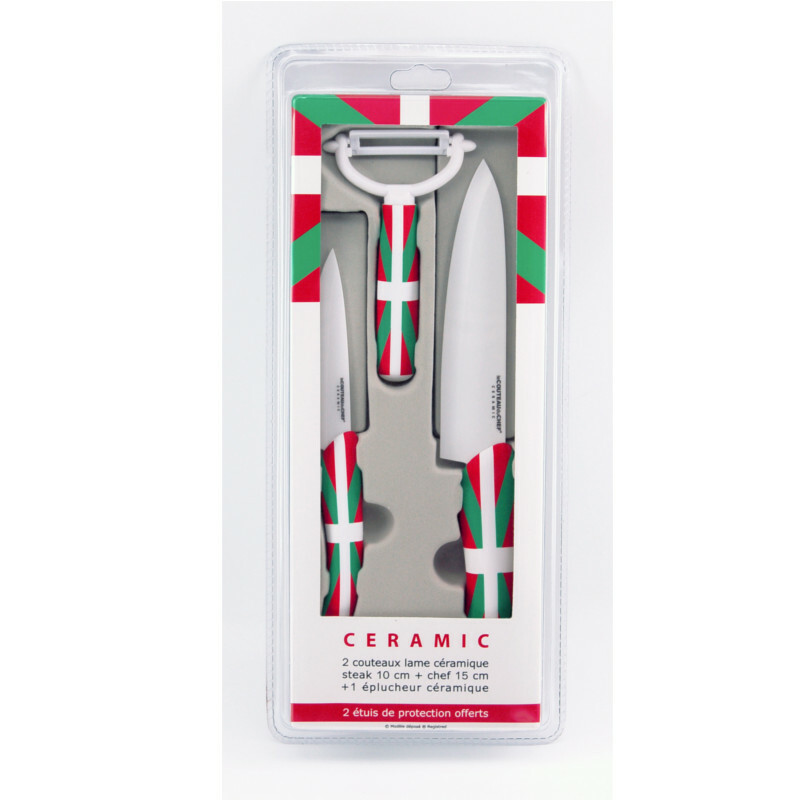 Impressive harness and exceptional sharpness are the main characteristics of the white ceramic blades of Le Couteau du Chef knives. They are made of a very hard material: zirconium oxide, the 2nd hardest material after the diamond. - Very useful and performing peeler for all types of vegetables and fruit. 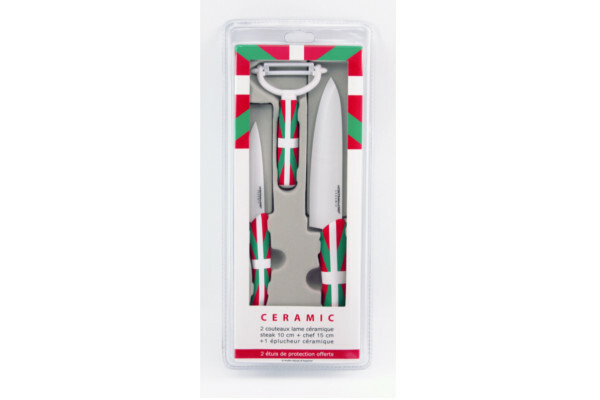 Made of ABS, last generation polymer famous for its lightness and solidity, the ergonomic handles of these 3 white ceramic blades of the collection Le Couteau du Chef is equipped with a soft touch finish. It will ease all your cuttings with great comfort. In addition to be extremely easy to handle, this little TB detail makes the difference.